One of the most famous fighter jets will be present in static and flying displays at the Royal International Air Tattoo on 15-16 July. One of the most famous of all combat jets will make a spectacular return to the Royal International Air Tattoo this year, as the Ukrainian Air Force sends examples of the Sukhoi Su-27, NATO codename 'Flanker', for both the static and flying displays at the airshow on 15-16 July. The Su-27, a heavy air superiority fighter, was designed during the Cold War as a Soviet counter to potential Western opponents such as the US Air Force's F-15 Eagle. It first flew in 1977, and in the course of its development phase one of the prototypes set several time-to-altitude records. Service entry began during 1985, and when the 'Flanker' started appearing at Western air displays in the hands of Sukhoi test pilots, starting at Paris in 1989, it astounded spectators with its manoeuvrability. In the post-Soviet era, the original Su-27 series has continued to equip the Russian armed forces, and carried on serving with the Ukrainian Air Force as well as other former Soviet states and several export customers. The design has continued to be developed for both Russia and overseas markets, some of the latest derivatives incorporating thrust vectoring for even greater agility. The Ukrainian Su-27s coming to Fairford for RIAT 2017 are on the strength of the 831st Tactical Aviation Brigade, based at Myrhorod in central Ukraine. One will take part in the flying display on the Saturday and Sunday of the show, while the other will go on static display. Also in the static park will be the support aircraft for the 'Flankers', an Ilyushin Il-76 four-jet transport. The Air Tattoo became the first Western airshow to welcome Ukrainian participation when a Su-27 displayed at Fairford back in 1996. This year will mark the first time since 1999 that a Ukrainian 'Flanker' has given a flying demonstration at the event, though a single example appeared on static display in 2011. Confirmation of the aircraft's attendance at RIAT 2017 comes after a visit to Myrhorod by Wg Cdr Jonathan Nixon, the chairman of the Air Tattoo's flying control committee, for the purpose of observing and validating the Su-27's display. 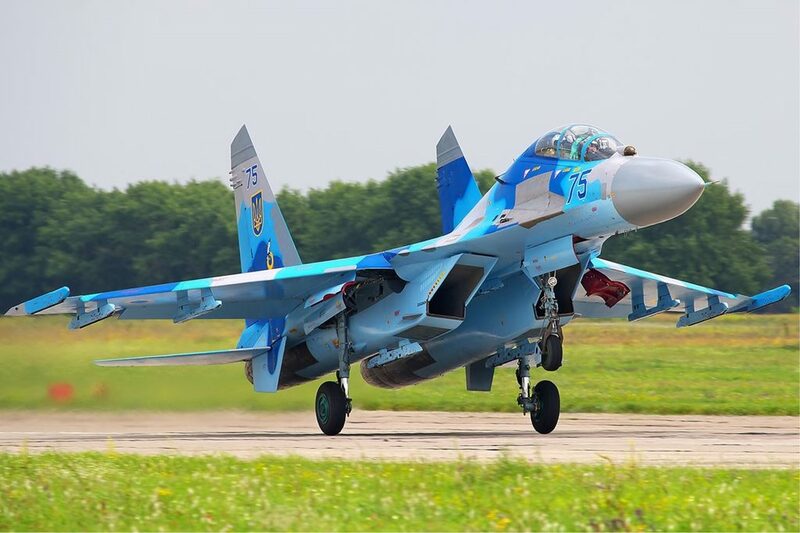 RIAT chief executive Andy Armstrong said: "The return of the Ukrainian Su-27 this year is the result of a lot of hard work by the Air Tattoo team. I am delighted that the Ukrainian Air Force has made such a commitment to the show, and know that the 'Flanker' will be a major highlight in 2017."